TL;DR – It’s officially in the dictionary. ‘Fake news’ has been announced as the Collins Word of the Year 2017. Defined as false, often sensational, information disseminated under the guise of news reporting, or Donald Trump’s favourite phrase, it will be added to the next print edition of Collins Dictionary. Don't be selfish... Click here to share this on Facebook! If you like what you read, follow us on Facebook to get the latest updates. Fake police extorting teenagers for money at Punggol? Previous PostOur economy looks to be stabilising, but are we ready to seize the opportunities? Next PostForum writer says widespread celebration of Halloween in S’pore is "befuddling"
On a constant quest to be a really professional internet person. 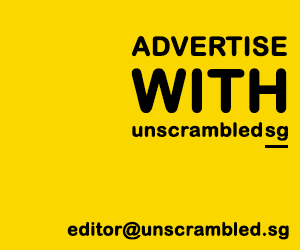 © 2016-2019 Unscrambled.sg. All rights reserved. Unauthorised use and/or duplication of this material without express and written permission from this site’s owner is strictly prohibited. Excerpts and links may be used, provided that full and clear credit is given to Unscrambled.sg with specific direction to the original content. Views expressed in articles are those of the authors and do not necessarily represent the views of the owners of Unscrambled.sg.